Millions of annual visitors know Monterey as a world class destination, home to golf tournaments, music festivals, auto and motorcycle races, wine tasting and much more. But Monterey is also the "Cradle of California", and visitors will not regret carving a few hours out their schedule to visit these top 5 historical sites in Monterey. 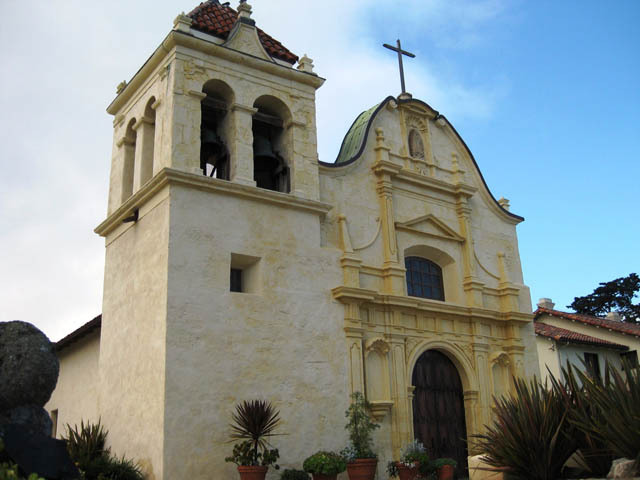 Sitting within the boundaries of the former Spanish Presidio, the San Carlos Cathedral is the oldest church in California. Completed in 1794, it is also California&apos;s first and oldest stone building. Beautifully restored in recent years, the church serves a working parish. An adjacent museum is open several days a week and docents are happy to give tours. 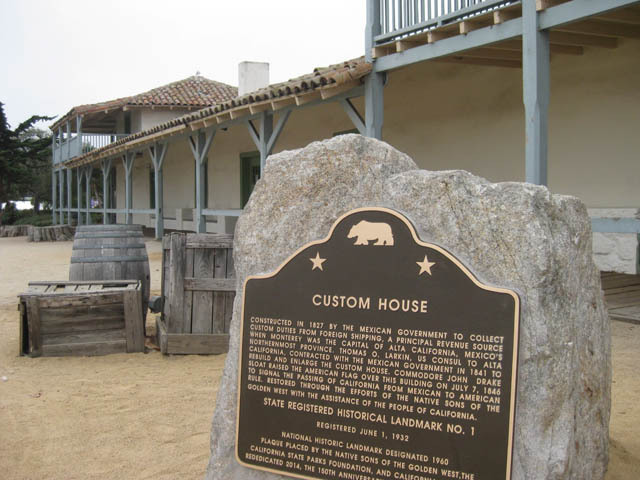 Built by Mexico in the 1820&apos;s, the Custom House is California&apos;s first and oldest public building, and State Historical Marker #1. All ships entering Mexican California in the 1820&apos;s, 30&apos;s and 40&apos;s were required to pay tariffs and fees at the Custom House, making Monterey the center of trade on the west coast. On July 7, 1846 forces under Commodore John Drake Sloat raised the Stars and Stripes at the Custom House and claimed California for the United States. Following the war with Mexico, the Treaty of Guadalupe Hidalgo officially gave the territory captured by Sloat to the United States - an area twice the size of Texas. The Custom House is now part of the Monterey State Historic Park and open for tours on week ends. Located on Custom House Plaza near the entrance to Old Fisherman&apos;s Wharf. As the first American Alcalde of Monterey, Walter Colton established and presided over a court system that dispensed fair and equal justice to all residents, Californio and Americano. With Bob Semple, leader of the the Sonoma "Bear Flag revolt" and Chairman of the Constitutional Convention, Colton co-founded California&apos;s first newspaper, The Californian. Colton&apos;s greatest legacy is the construction of the imposing building that bears his name today - Colton Hall. Built as a government center and Monterey&apos;s first school, it was the largest public building in California when it was completed in 1849. At the same time the California Gold Rush aroused interest in California statehood, and in September of 1849 delegates descended on Monterey for a Constitutional Convention. Within Colton Hall the size and shape of California was determined; where the state capitol would be; the Great Seal was adopted; and whether we would become a free state or slave state. 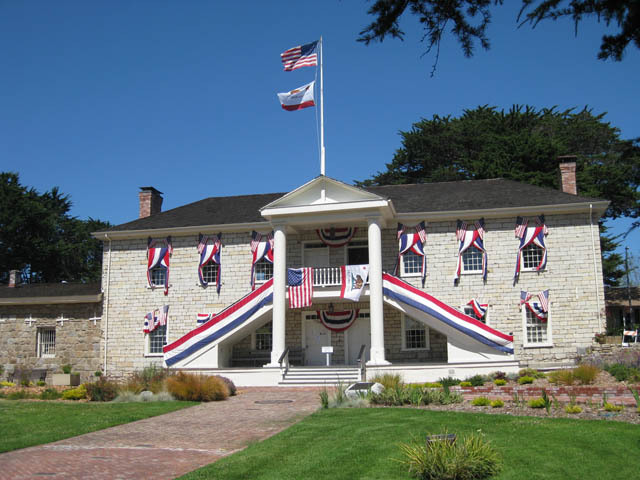 Colton Hall is owned by the City of Monterey, who keeps it open as a free museum 10 AM - 4 PM every day of the year. Thomas Larkin was an American from Boston who came to Monterey in 1833. Larkin soon established himself as a respected and prosperous businessman, with partners and investments throughout Mexican California. Larkin also became the first and only American Consul to Alta California. As an American diplomat, Larkin played an important role in the "Conquest of California" in 1846. He served as an intermediary between concerned Mexican officials and Captain John C Fremont, who prepared to attack Mexican forces in Monterey following the "Bear Flag Revolt". Larkin was also communicating with the US Navy, and was on hand when Commodore Sloat&apos;s forces landed in Monterey and claimed California for the United States. As a wealthy man, Larkin built one of the first two-story residences in California, with an interior staircase. His colonial style and use of local materials introduced new architecture to California - "Monterey Colonial", now ubiquitous. Remodeled by Larkin&apos;s grand daughter in the 1920&apos;s, the house is now part of Monterey State Historic Park. The house is generally open for tours on week ends, but the public is always welcome to explore the beautiful garden, see the interior of the adjacent Sherman Quarters, and peek through the windows into the parlor. The Mission San Carlos Borromeo del Rio Carmelo is not in Monterey, but rather is five miles south, along the Carmel River. After a year in Monterey, Padre Serra wanted to separate himself from the Spanish military, and the new site offered a better water supply and better agricultural land. Serra&apos;s churches were first wood, then adobe. Following Serra&apos;s death in 1784, Padre Lasuen began construction of the current mission, built on the original site and dedicated in 1797. As President of the Franciscans in California, Serra used Carmel as his headquarters, and it was from here that he began to build seven other missions up and down California. Padres Lasuen and Crespi continued Serra&apos;s work, ultimately building 21 missions along the "El Camino Real". Today Padres Serra, Lasuen and Crespi are interred in the sanctuary, and the Mora Chapel Gallery features a life-size marble cenotaph dedicated to Serra. 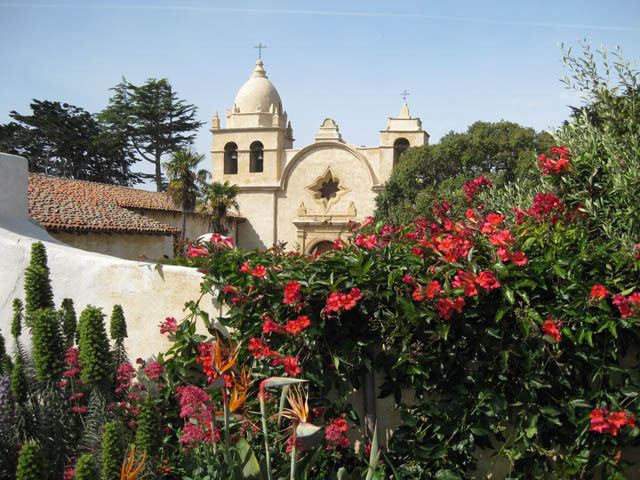 The Mission is an active parish and school, but a museum offers a look at mission life as well as the story of the art and rebuilding of the mission in the 1920&apos;s and 30&apos;s.
Thom Diggins is a long-time resident and big time fan of Monterey County. As the owner of The Original Monterey Walking Tours, Thom is an enthusiastic ambassador of Monterey, and he truly enjoys providing a unique and entertaining visitor experience.